“Sample” on the bottom right corner of the label. 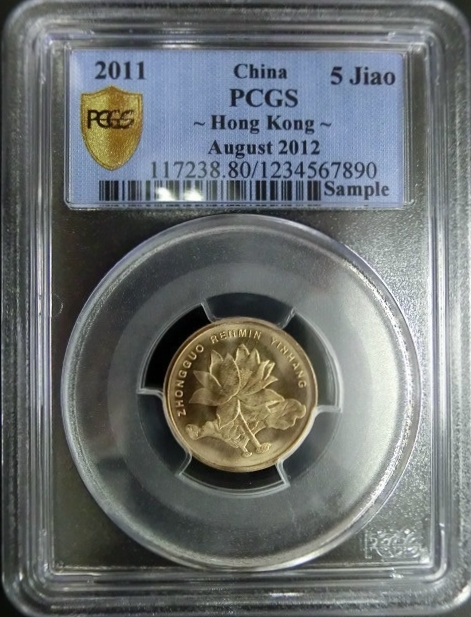 What I don’t know about the first two samples in this article is, were they meant for PCGS dealers only or where they handed out to the public. There are only a few that I have been able to find so far, but they are definitely something to keep an eye on. 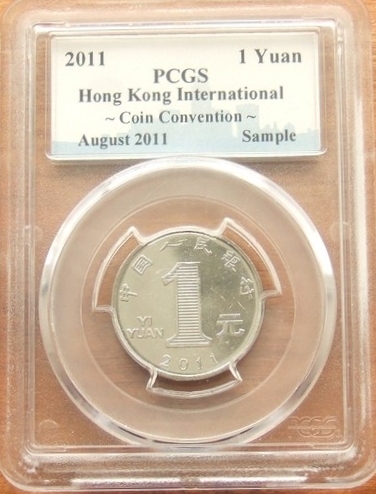 This PCGS 1 Yuan sample is from the 2011 Honk Kong International coin Convention. I find it exciting to see these new samples coming out of China, I will be doing research when I can for future articles on all these sample, along with any others I may find. 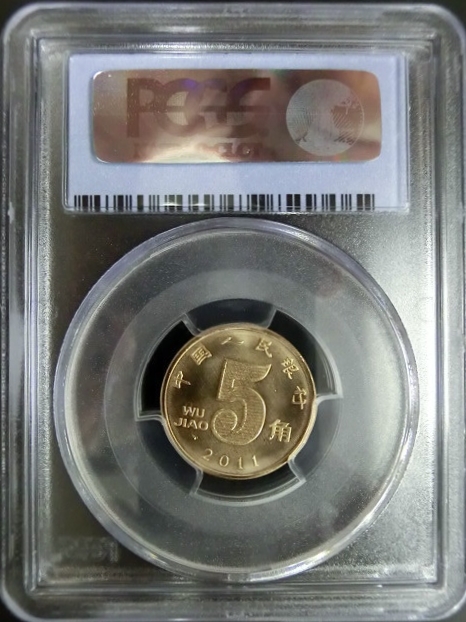 This 1 Yuan sample slab was sold last month for for just over $50.00. perhaps at a luncheon or a special event at the show. 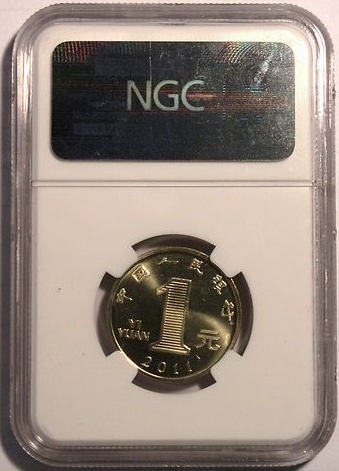 I have also learned that NGC does periodically make samples for their Asian submission centers. I am hoping we will start seeing more of these samples making their way to collectors on this side of the globe. Being that these are the only sample slabs from China I have found so far, I am hoping we will start to see many more beautiful samples coming our way. 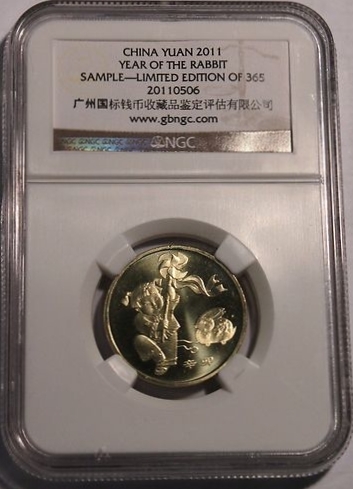 I will admit I know very little about these samples or the coins inside them, but I wanted to show them to you now so you would have an idea of what I hope we can expect to see in the near future. There is still a lot of research to be done and I look forward to finding out more about these very interesting sample slabs. This has to be one of the most recognized sample slabs ever made, The 1964 PCGS Kennedy half-dollar. I am still seeing it up for auction even today, and the prices like so many samples today are all over the place. 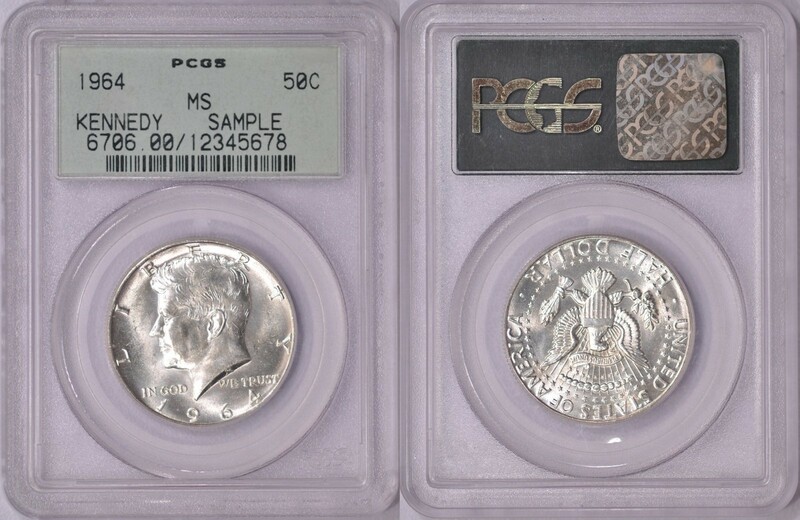 This was a dealer only sample, so it was only given to out to PCGS dealers. 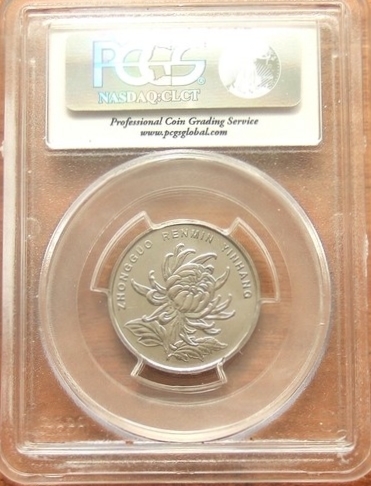 It was made to show the PCGS dealers the newest PCGS label at that time. This sample was never given out to the public. This entry was posted in Uncategorized on November 1, 2012 by Daniel.